Francie commissioned the portrait of Roxie below, and previously in 2007 commissioned Kali and you can see her portrait too here in the testimonials section. 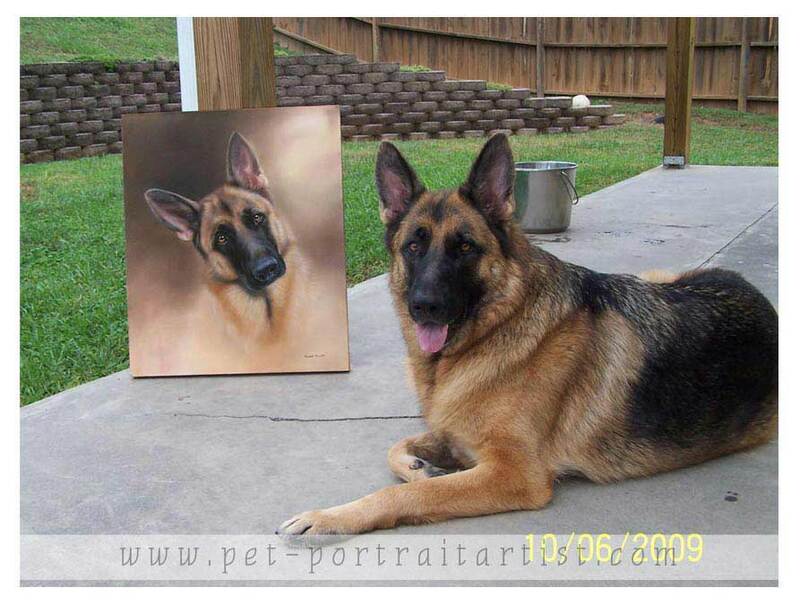 Roxie and Kali are best friends and as you can see we think Roxie likes her portrait! 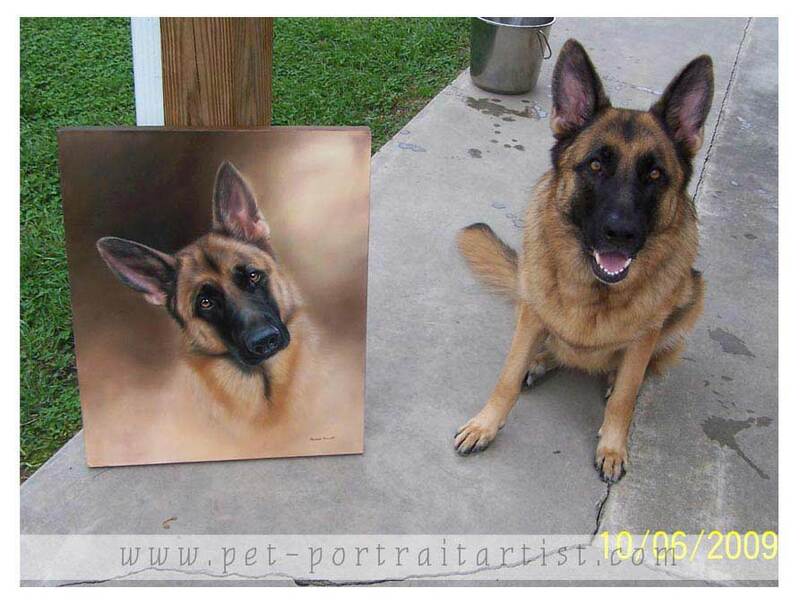 A big thank you to Franice for taking photos of both Kali and Roxie with their portraits over the years. The painting is just absolutely beautiful!!! I love it!! I also love that it’s so different from Kali’s portrait. Their personalities are so different, not to mention how different they are physically. I think I’m just going to hang it as is. I love the naturalness (if that’s a word) of it unframed, which is just like Roxie. She’s a “no frills” kind of girl. I just wish I could tell all your potential clients that if you think the final painting is amazing, the painting will absolutely blow you away. When you see the painting for the first time, you just have to sit back and say “Wow – Unbelievable!!”. My sister was home for a visit this past weekend and I showed her the portrait. She was floored!!! She said it is amazing that somebody can paint like that! She was helping decide where to hang it. Wish Nicholas a Happy Birthday!!! That cottage is awesome. People must have been really short in the 1700’s! I’d probably feel like I’d have to duck my head! !